← Alta Car – Racing radiator and extra capacity fuel tank. 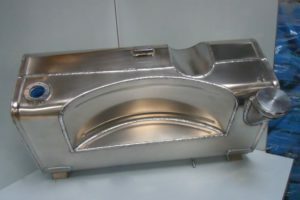 Tatra is a vehicle manufacturer in Kopřivnice, Czech Republic. 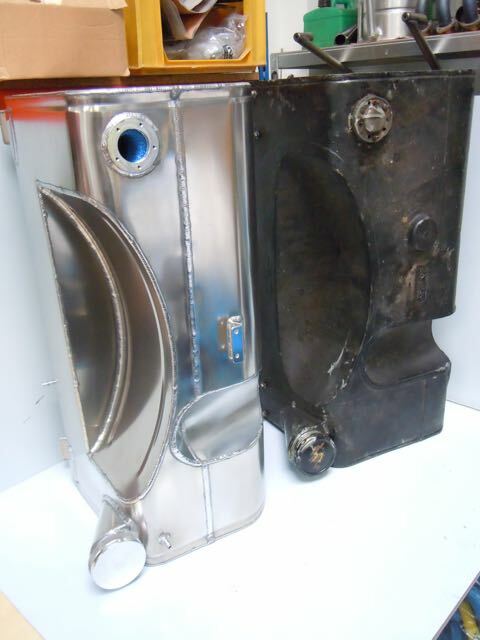 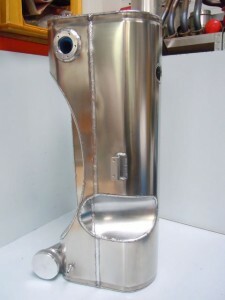 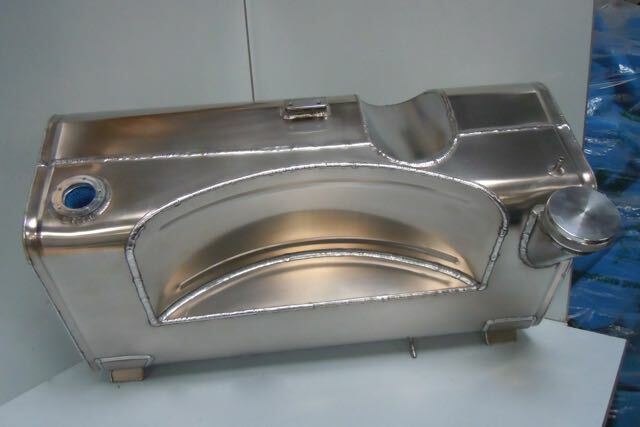 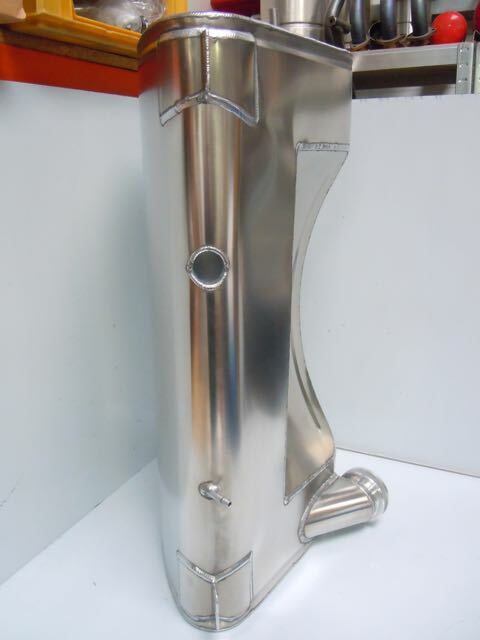 This aluminium replica fuel tank was made for a customer using an original fuel tank as a pattern. 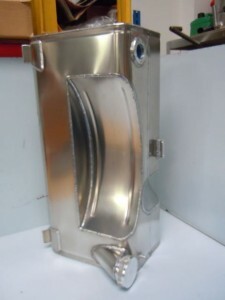 The tank is foam filled for safety using anti explosion / anti surge foam and uses a modern fuel level sender. 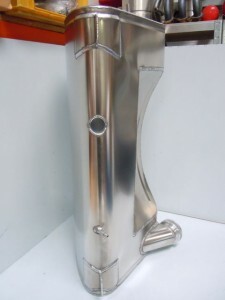 Concept Racing can get senders manufactured to work with a vehicles original gauges if required. 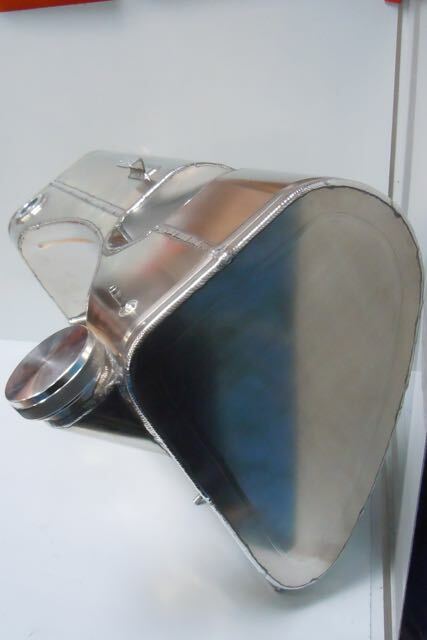 This entry was posted in Fuel system, Motoring and tagged Bespoke fuel tank, Custom fuel tank, Ecorra Aluminium Fuel Tank, Ecorra fuel tank, Ecorra petrol tank, Kustom Fuel tank, Replica Tatra Aluminium Fuel tank, Tatra, Tatra Aluminium Fuel Tank, Tatra Car, Tatra Fuel Tank, Tatra Petrol Tank. Bookmark the permalink.